Christina arrived last Saturday after being in the Netherlands for two weeks. She brought our cats with her. It took quite some paperwork before we managed to get them here but now they are with us again. Christina told me today that they are already walking outside enjoying tropical temperatures. 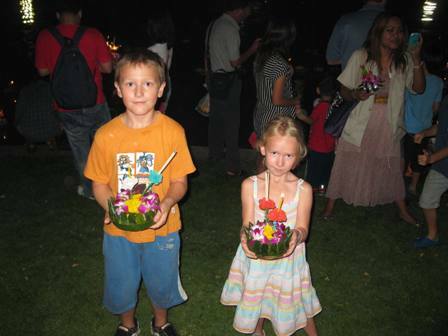 As mentioned in the previous posting today we went to the park to celebrate Loy Krathong. 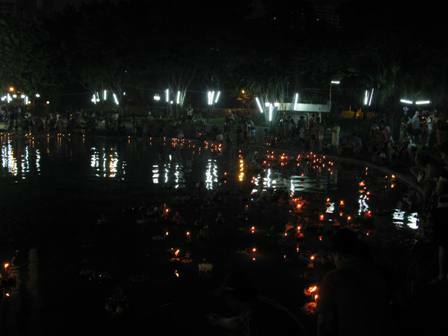 Or better, to see how Thai people celebrate it. Of course we also bought one of these floating candles. Getting into the park was quite some work because it was crowded. Everyone wanted to get in but at the same time vendors were almost blocking the crowd because of this sales opportunity. I bought two candles for Yde and Vibeke. They gently put them into the water, look at the pictures below to get an impression. It's a nice event with a lot of families and children all walking around, excited with candles, small fireworks and of course food. 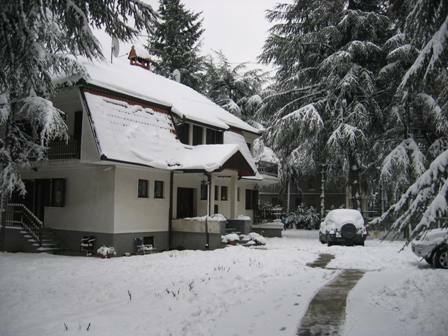 Not too long ago we received pictures from Mina, our nanny in Belgrade. She went to the place we called home for the last four years. 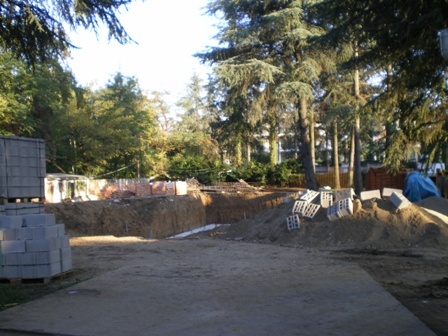 We knew that the new owner of the house wanted to construct a new house. Still it is strange to see that this place, for us a place with very nice memories, just vanished. While surfing the web I stumbled upon Thailand news. It gathers news about Thailand, not only from the two English newspapers (Bangkok post and the Nation) but also from other sources. It's nice because there are not too much advertising. The Dutch have their own Santa Claus. It's not about the North Pole and reindeers but it has everything to do with presents and it is the number one children's day. Our Sinterklaas (looks like a Catholic Saint) is coming from Spain in a boat. In the Netherlands he uses his assistants (called black Peter) to serve every child in the country. And believe it or not, he is supposed to ride the roof of every house in the Netherlands on a white horse. The presents are going down the chimney just like Santa does. But for all the Dutch children abroad, our Sinterklaas is not forgetting them. We also celebrate Sinterklaas in Thailand. 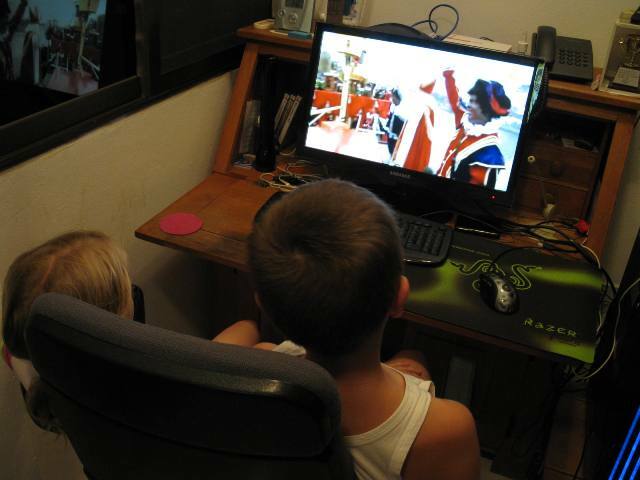 In order to get in the mood Yde and Vibeke watched the arrival of Sinterklaas via internet. Now they are allowed to put a carrot in their shoes, sing some songs and wait for the next morning, if they behaved well last year they find presents in their shoes (scroll down a bit for the picture). Furthermore, Christina went to the Netherlands on Saturday evening. She will arrange things for her study and she will finally bring our two cats back home to Thailand. Our poor cats stayed in the Netherlands for such a long time but soon they can enjoy tropical temperatures. Again some news about Yde. 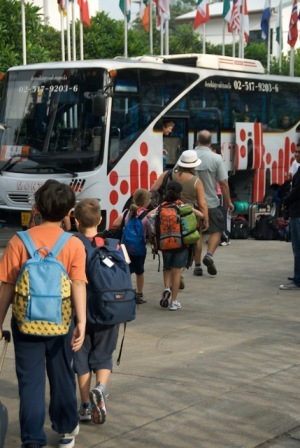 Today it was a big day because his class is going on a trip to Khao Yai national park. And it's not just a trip. They will stay there one night! It's the first time he does something like this without us. In Serbia I used to play battlefield2 for almost four years. Online gaming against other players in Europe. Because of all that playing I obtained a high rank and I got really good at that game. Now I cannot play it anymore. It's just not possible to play with European players because of the high ping. The distance is too far away. The only game I continue to play is miniconomy. 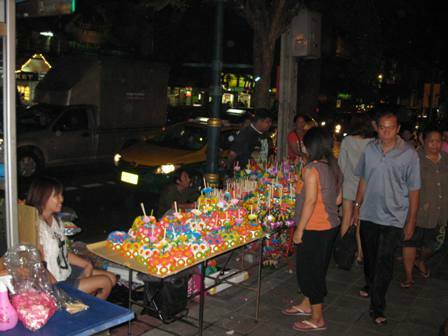 If you visit Thailand for the first it is most likely that you will spent some time in Bangkok. And you will probably be surprised by the number of shopping malls in Bangkok. It's the Thai way to escape the heat if they are free. Shopping malls are more than a bunch of shops, it's a place to stay the whole afternoon. Of course there are food courts and fast food restaurants. The big ones also have very nice cinemas and game/entertainment courts, bowling and so on. Yde was a little bit nervous about it but today was the big day. 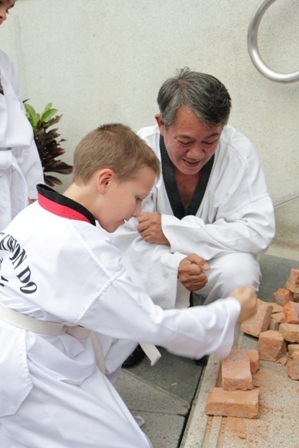 He would try to get his yellow belt at Taekwondo. The most exciting part for him would be the breaking of 3 bricks. He wasn't too sure about that part.